Diego SIMEONE at a press conference in Australia. Perez said he met with Russo and another guy up to now, forgot Bauza’s name hahaaahaha. He also confirmed he will met Berizzo in Europe and it is reasonable to give a call to Gallardo.Varsky reported it just now. Man, this really has descended into farce now. It will still end up being Russo! It may sound ridiculus but Armando Perez just said,”Sampaoli does convince me as much as Simeone and Bielsa does”.And he mentioned Bielsa was his prime candidate.Nevertheless they are negotiating with Sevilla and looking for 8.1 millions of fund.There.This is AFA for you. 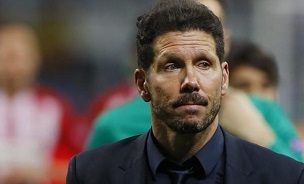 It’s understandable why Simeone would not take the job,atleast for now.You can’t imagine Guardiola leaving club football for Spain job,neither did Jose Mourinho when was asked nor Carlo Ancelotti.But compare Simeone’s no with Pochettino’s,you could tell the difference.